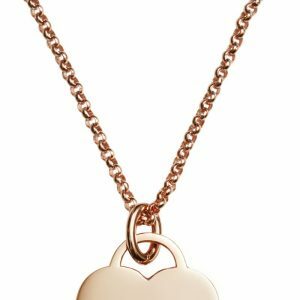 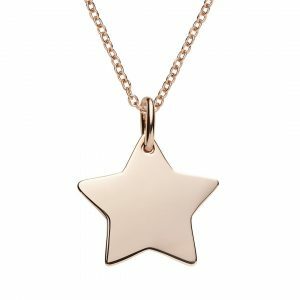 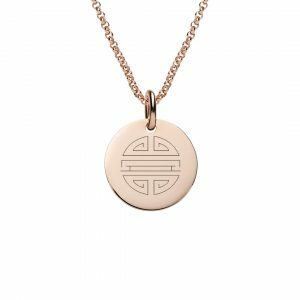 Stylish bar necklace in rose gold, perfect for engraving a name, initial, small message or symbols. 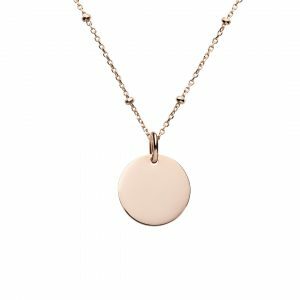 Quality sterling silver plated in rose gold. 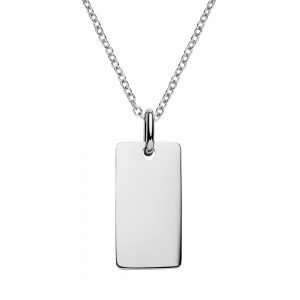 Click “Start Design” button below to see how the bar pendant will look when you engrave it. 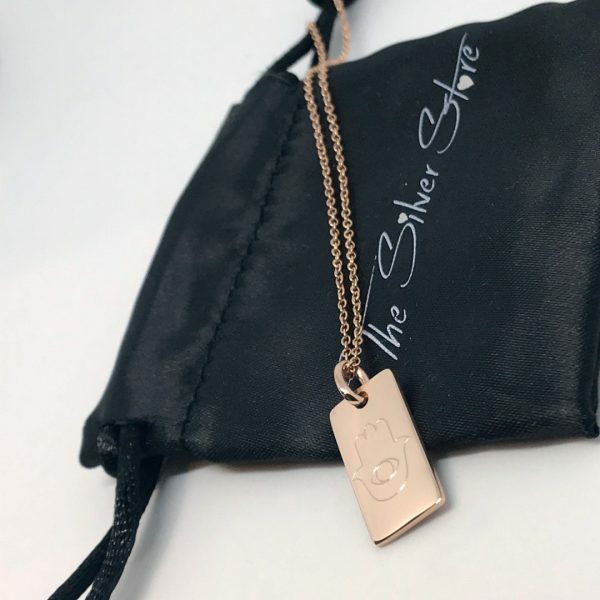 5 different fonts and over 100 symbols to choose from. 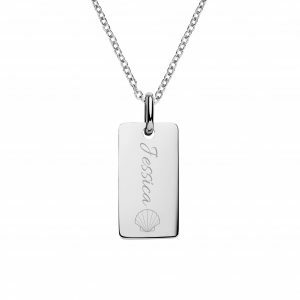 We also offer custom engraving design and handwriting engraving service. Sterling silver bar necklace plated with rose gold. 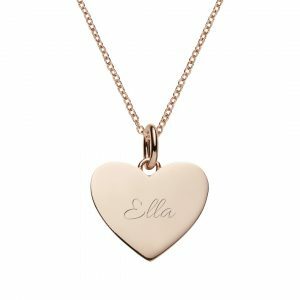 This necklace looks stunning on its own or personalised with initials or text. 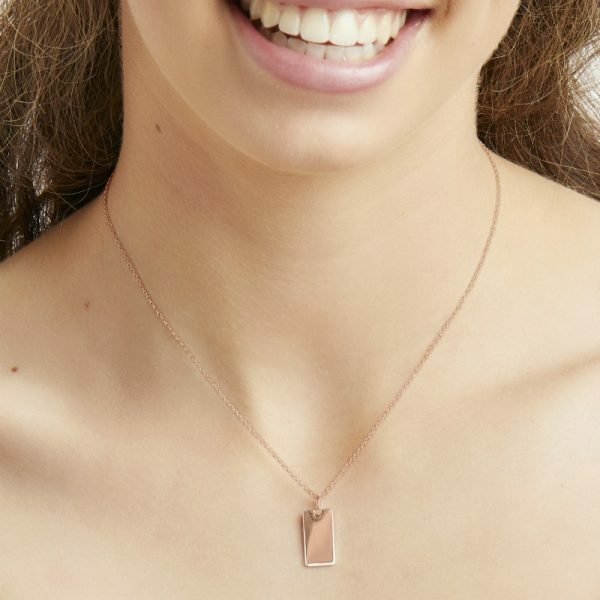 Rectangular bar pendant and a 42 cm rose gold cable chain with a lobster clasp. 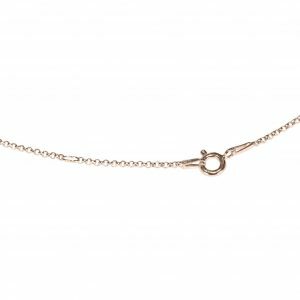 You can vary the length of the chain from 38cm to 42cm so the bar will sit perfectly on your neckline. 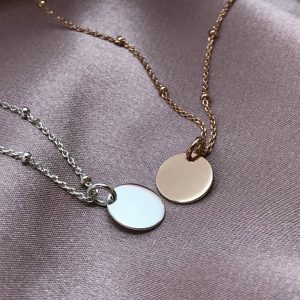 Necklace Length: 42 cm x 1 mm thick. 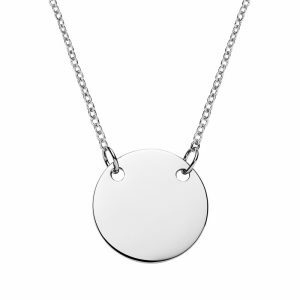 Bar Pendant: 18 mm long x 9mm wide, 1 mm thick.